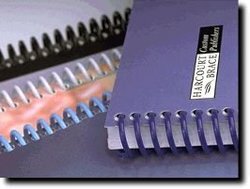 Spiral bindings are a highly durable binding technique offering a wide variety of colours. Made from lead free plastic this binding allows the printed document to lie flat and to double over. Useful characteristics for documents such as school diaries, technical manuals and notebooks. Plastic spiral binding employs a plastic coil that has a clean, modern look and is extremely durable. 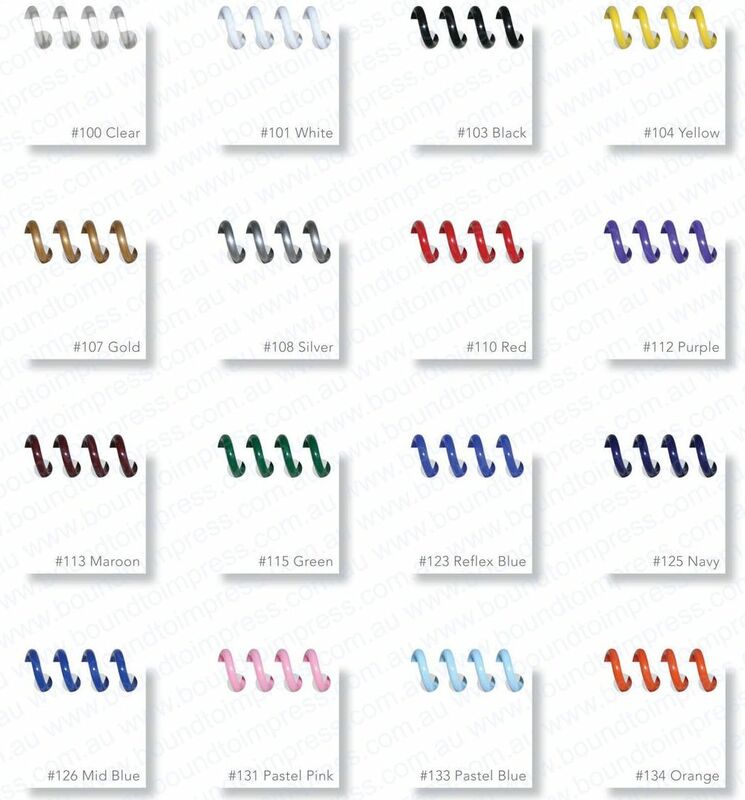 Books can be bound up to 45mm thick, with sixteen standard colors available. Please Contact Us to arrange your spiral binding quote.